Clozapine, an antipsychotic used in treatment-resistant schizophrenia, causes slow gastrointestinal transit in 50–80% of patients. Clozapine-induced gastrointestinal hypomotility is both common and serious, and potential complications include severe constipation, ileus, bowel obstruction and related complications, with a higher mortality rate than clozapine-related agranulocytosis. Little evidence exists on its prevention and management. 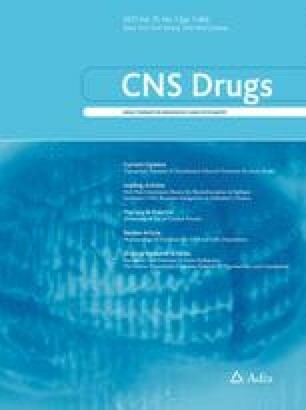 Using a well-validated radiopaque marker (‘Metcalf’) method, we compared colonic transit times (CTTs) of clozapine-treated inpatients not receiving laxatives with their transit times when receiving laxatives, with treatment prescribed according to the Porirua Protocol for clozapine-related constipation (docusate and senna augmented by macrogol 3350 in treatment-resistant cases). The median age of participants was 35 years, and median clozapine dose, plasma level and duration of treatment were 575 mg/day, 506 ng/mL and 2.5 years, respectively. Overall, 14 participants (10 male) were enrolled and all completed the study. Transit times improved markedly with laxative treatment. Median colonic transit without laxatives was 110 h (95% confidence interval [CI] 76–144 h), over four times longer than normative values (p < 0.0001). Median CTT with laxatives was 62 h (95% CI 27–96 h), a 2-day reduction in average transit time (p = 0.009). The prevalence of gastrointestinal hypomotility decreased from 86% pre-treatment to 50% post-treatment (p = 0.061). Severe gastrointestinal hypomotility decreased from 64 to 21% (p = 0.031). Subjective reporting of constipation did not correlate well with objective hypomotility, and did not change significantly with treatment. Treating clozapine-treated patients with docusate and senna augmented by macrogol appears effective in reducing CTTs in clozapine-induced constipation. Randomised controlled trials are the next step. Australian New Zealand Clinical Trial Registry ACTRN12616001405404 (registered retrospectively). Susanna Every-Palmer was the principle investigator. She conceived, designed and coordinated the study, and had responsibility for drafting the study protocol and report. Mike Nowitz was the radiologist who analysed and reported all the ROM studies; James Stanley participated in the statistical analysis; Pete Ellis was involved in the conception and design of the study and in drafting the manuscript; Eve Grant recruited participants and participated in data collection; Mark Huthwaite was involved in the study design; and Helen Dunn participated in pharmacological data collection. All authors critically appraised and revised the draft manuscript and approved the final version. This study was funded by a research grant awarded by Capital and Coast District Health Board (CCDHB; the statutory entity responsible for the public hospital where this research took place). The CCDHB had no role in the study design; collection, analysis and interpretation of the data; or in writing or submitting the report for publication. Dr. Susanna Every-Palmer, Professor Pete Ellis, Dr. Mike Nowitz, Dr. James Stanley, Ms Eve Grant, Dr. Mark Huthwaite, and Ms. Helen Dunn all declare that they have no conflicts of interest in relation to this study. The study was approved by the New Zealand Health and Disability Ethics Committee (reference 13/CEN/153). All procedures were in accordance with the ethical standards of the 1964 Helsinki declaration and its later amendments or comparable ethical standards. Every-Palmer S. Research protocol: comparing gastrointestinal motility in clozapine-treated patients before and after laxative treatment. University of Otago Research Archive; 2014. Available at: http://hdl.handle.net/10523/6392. Accessed 17 Aug 2016. Every-Palmer S. The Porirua Protocol: guidance to prevent clozapine-related constipation (version 1). University of Otago Research Archive. Available at: http://hdl.handle.net/10523/6763. Accessed 17 Aug 2016.